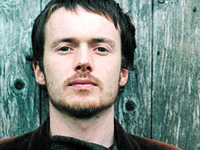 Irish singer/songwriter Damien Rice launched his music career in the late-’90s with the hard-hitting indie rock outfit Juniper. The group signed to Polygram in 1997 and released two singles, “The World Is Dead” and “Weathermen,” which did moderately well on Irish radio, but when it came time to record a full-length album, contractual rules from the label prevented Juniper from doing so, and Rice split. After a brief respite in Europe, Rice returned to Dublin to focus on music once again, scrounging up enough money to record a demo. He sent it to producer/film composer David Arnold (Bjork, Nina Persson, Paul Oakenfold), and luckily for him, Arnold loved it and set Rice up in his very own mobile studio to make a record.